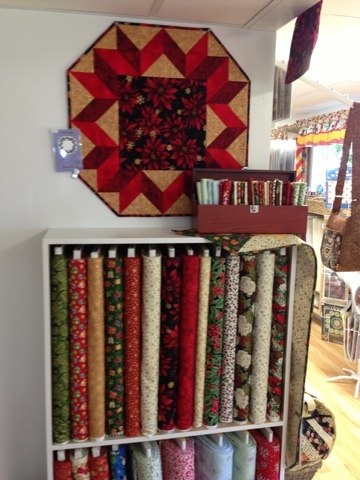 I love Pieced Tree Patterns & Robert Kaufman fabrics! 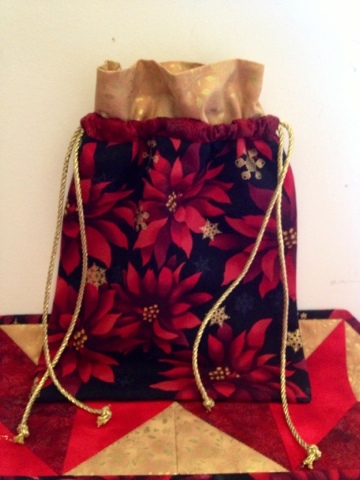 The poinsettia print and the darkest red are both Robert Kaufman fabrics, the poinsettia, part of the Christmas in Kyoto line, and the red, part of the Fusions Mist line. 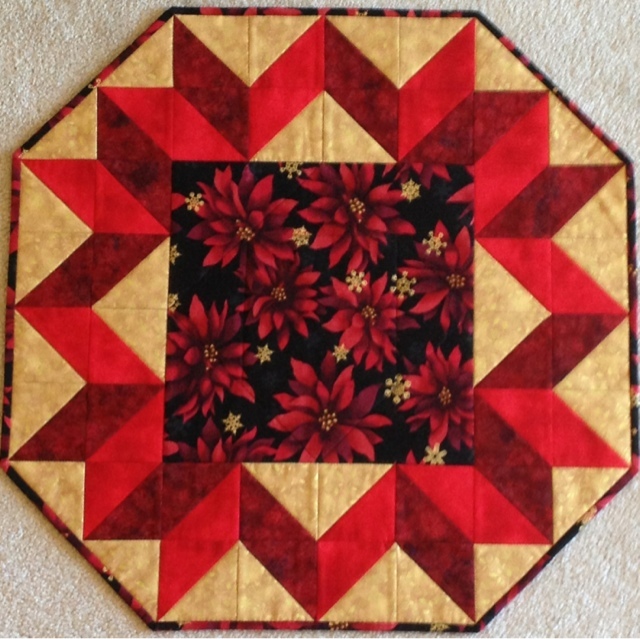 The lighter red is by Patrick Lose for Timeless Treasures Fabrics and the gold is Old World Christmas by Fabri-Quilt, Inc. I also made a co-ordinating "gift bag" using the Cake Therapy Pattern by Cozy Quilt Designs. The pattern is called "It's a Cinch Bag" and it was quick & easy to make.